The hope of Easter comes to life in Jesus Is Alive. 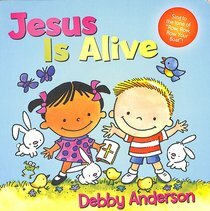 Through colorful pictures of a child's day with family and friends, little hearts learn about the time leading to Jesus's death and resurrection. Most importantly, they learn that in Jesus all things are new!